Dental implants are a modern, convenient, and effective solution for replacing missing teeth. At Lancaster Dental Group: A Wechsler Family Practice, in Lancaster, California, Mitchell Wechsler, DDS, provides his patients with dental implants that look, feel, and function just like natural teeth. To learn more about how Dr. Wechsler can restore your smile with dental implants, schedule a consultation today by calling the office or using the convenient online booking tool. Dental implants are small metal posts that are surgically implanted into the area of your jawbone where you’re missing a tooth. As your jaw and gums heal from the surgery, they fuse to the implant, making it a strong foundation on top of which Dr. Wechsler can install a crown or bridge. Dental implants effectively mimic the function of a natural tooth’s root structure, making them an incredibly popular tooth-replacement solution. And if you get a tooth-colored crown on your implant, it will not only feel like a natural tooth, but look just like one as well! To explain the advantages of dental implants, it helps to first explain the negative impact that missing teeth can have on your overall oral health. Dental implants help stave off these problems by functioning just like new natural teeth in your mouth. Moreover, because they’re so similar to your natural teeth, dental implants are incredibly easy to care for and maintain. You just brush and floss regularly as you do with the rest of your teeth. Dr. Wechsler typically installs your dental implants in two separate office visits. During the first visit, he takes digital X-rays of your mouth to determine the placement of the implants, then treats you with a local anesthetic. Next, he makes a surgical incision into your gum and jawbone and inserts the implant into your bone socket. He then stitches you up and sends you home while your jaw and gums heal and fuse with the implant. This process, called osseointegration, typically takes between three and nine months. When you come in for your second visit, Dr. Wechsler examines the implant to make sure that it fused properly. If everything looks good, he installs a crown or a bridge on top of it that will be designed to blend in with the rest of your teeth and function as if it were your natural tooth. You’ll then be able to chew, speak, and smile as if you never had a missing tooth in the first place! 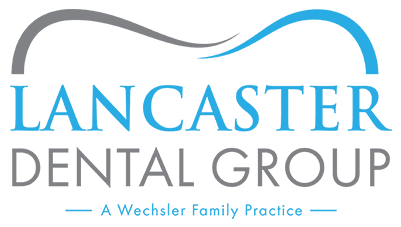 To learn more about how dental implants can improve your oral health, schedule an appointment today with the kind and compassionate dental experts at Lancaster Dental Group: A Wechsler Family Practice. You can call the office or use the convenient online booking tool.